No competition on an Amazon FBA item? That’s a great situation to be in, if you ask me! Wouldn’t we all love to have more inventory items where we’re the only seller and don’t have to worry about how our competition is going to price their items? It could be a new item that you’re introducing to the Amazon catalog. The item has an established Amazon listing, but it’s sold out and you will be the only current seller. If you’re in a situation like this, how do you know where to set your price on Amazon? You want to maximize your profits but still have a low enough price to get sales – so how do you figure out where that sweet spot is? Look for a duplicate product page. This is usually my first step when I’m sourcing and see that an item is completely sold out and has no sellers. Amazon wants each unique item to have only one product page in their catalog, but their system isn’t perfect and sometimes duplicates sneak in, either on purpose or unintentionally. You might need to do a title search to make sure there’s not another listing with more sellers (and likely a better sales rank) than the product page you’re looking at. If there’s a duplicate page, I don’t send my item in to FBA on the listing with no sellers after all; I send it to FBA on the page with the best sales rank. 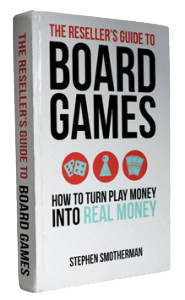 If the page with the best sales rank doesn’t have a good price for me to make a decent ROI (return on investment), then I won’t source that item after all. 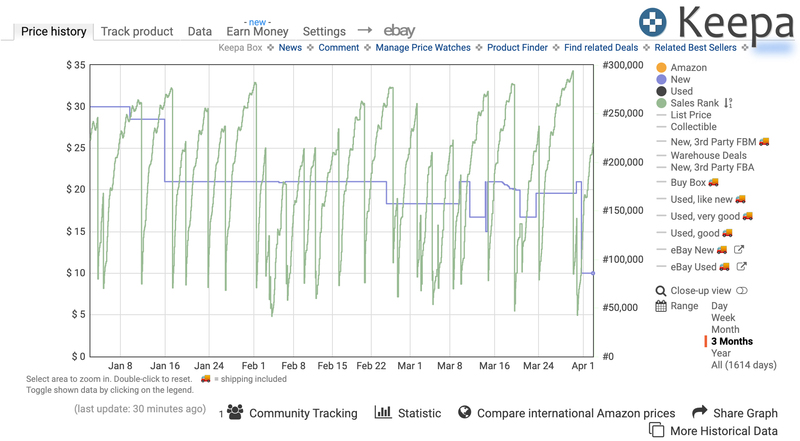 When I’m looking at the Keepa history, I look at how the sales rank history changes depending on the item’s corresponding pricing history. A lot of times you can see that the sales rank goes down when the price goes down, and vice versa. Now, if the item has been out of stock for a while, I might price the item a little higher than it had been priced previously, just to see how the demand for that item responds to a higher price. If I raise my price by 10% or 20% just as a test, I can always lower it later if necessary…but I would love to make that extra 20% in sales price if someone is willing to pay it! Sometimes you might find an item that’s not available for purchase on Amazon, but it is available on eBay. It’s a good idea to check for current eBay prices when you’re setting your prices as the only seller on Amazon. Be sure to do an advanced search on eBay to look at completed listings and see what prices items are actually selling at (not just what they were priced at without actually selling). You can also see how many recent completed listings there are on eBay to get an idea of how much in demand the item may be. Just like in step #2 above, I try to set my price on Amazon 10-20% higher than the current eBay pricing, knowing that Amazon Prime customers are used to paying a bit higher price than they would pay on eBay. Check for similar products on Amazon. 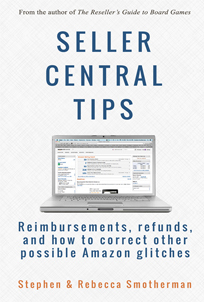 If you’re introducing an item to the Amazon catalog for the first time and creating a new listing, you won’t necessarily be able to go through the first three steps above – but you can still check the Amazon catalog for similar items and how they are priced. 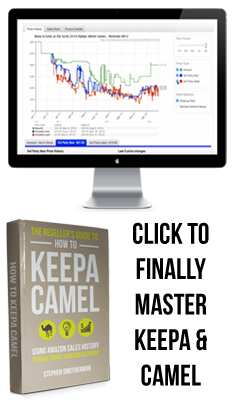 You can check the Keepa graphs for similar items to see how the sales rank and pricing history has changed over time, and you can use your best judgment to price your product accordingly. For example, perhaps I’m creating a listing for a new Barbie doll that is a soccer player (I know, I know, there are already Amazon listings for this Barbie, but let’s pretend for a moment that there’s not, just for the sake of this example). 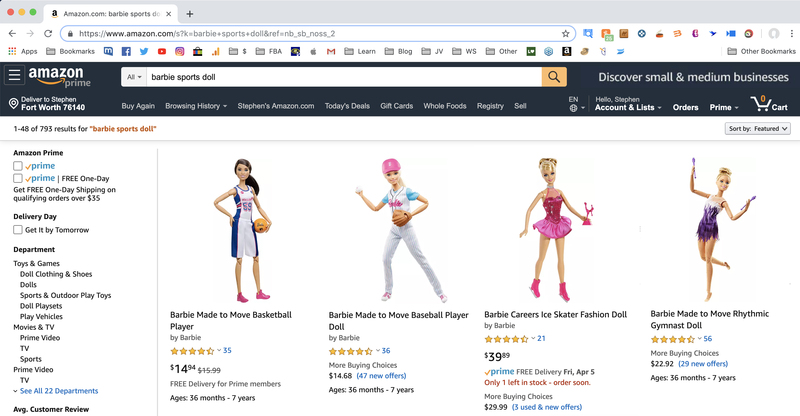 When I’m setting the price for my new item, I would do a title search on Amazon to look at similar items, like a Barbie baseball player, a Barbie track runner, or other Barbie athletes. I would be sure to look at items in the same brand, the same character, the same genre or theme, etc, and I would use all of the information from their sales rank and pricing history on Keepa to come up with an educated first guess at how to set my price. 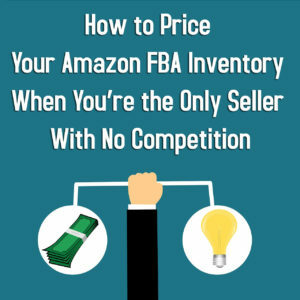 The key to remember when you’re setting your prices for Amazon FBA inventory is that you can set your prices a little higher than other ecommerce platforms because customers are used to this type of price difference. 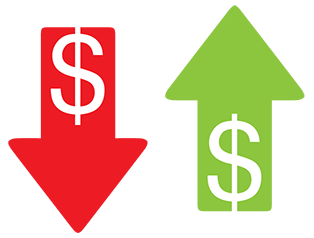 Always err on the side of pricing a bit higher than you think would work, and then you can adjust your price downwards if you need to in order to increase sales. On the flip side, if you set your price and immediately start to sell out of an item, you know that in the future you can possibly raise your price. There’s a fine art to tinkering with your prices until you find the sweet spot where you’re getting a good number of sales but still making the maximum profits for each sale. Do you have any tips for how you handle pricing an item on Amazon where you have no competition? We would love to hear how you handle this situation in the comments! 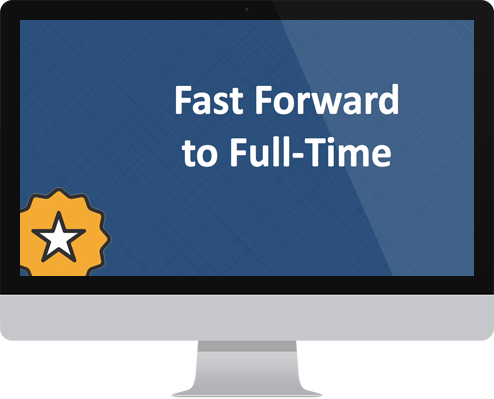 Do you want to know the six essential steps of finally making a full-time income with only part-time hours via Amazon FBA? 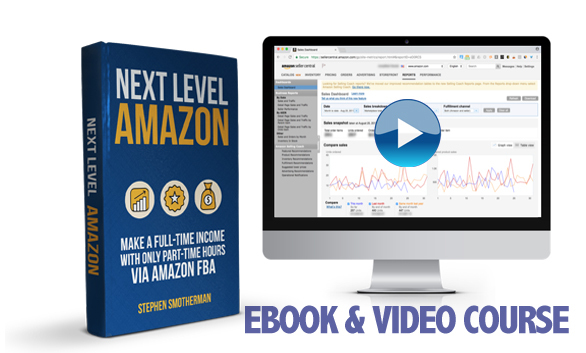 If you’re tired of not seeing the growth you expect in your Amazon business, then I highly recommend our course, Next Level Amazon: Make a Full-Time Income with Only Part-Time Hours via Amazon FBA. If you’ve suddenly become the only seller on a listing, because competitors have temporarily sold out then it’s a good idea to have your repricing software automatically go to your max to capitalise on higher profits on sales. This should be easy enough to set in most modern repricing solutions.